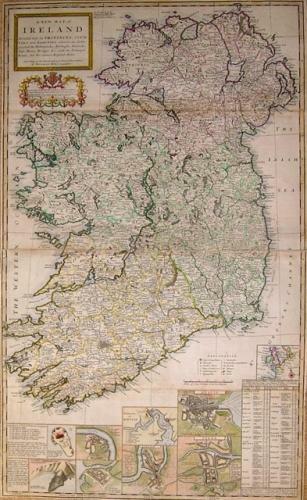 A very large and attractive map of Ireland by the famous Herman Moll. Inset views of the major cities. This map is in very good condition with original colour and strong paper. There have been some expert restorations to a few small margin tears and a centerfold split. Overall a very impressibe item.